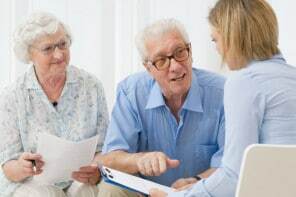 When your older adult needs help managing their finances, the prospect of taking over for them can seem overwhelming. To make things a little easier, The Dollar Stretcher shares helpful tips on how to prepare before they need the help and what types of legal and financial documents will be needed. My father and mother live alone in the same house that I grew up in. My father is getting up there in years. He takes care of my mother who is slowly developing dementia. Because of this, he also takes care of all financial matters. We want to be prepared for the worst. What are some steps we should take in organizing their finances, so if necessary, I can easily step in to manage their finances for my mother? There’s an old saying that goes, “An ounce of prevention is worth a pound of cure.” Too many people wait until it’s too late to prepare for elderly parents to become disabled or pass away. As a result, things that could have been handled easily become much more complicated and expensive. The first thing to remember is that if you’re going to have legal authority to act for another person (like your mom or dad), you need to get their approval while they’re alive and mentally competent to give it to you. Obviously that can’t happen after they’ve passed away or are suffering from advanced dementia. The second thing to remember is that you want to find out where they keep their important papers, who should inherit certain assets, and what medical directives they want while they’re able to tell you. With that in mind, let’s look at some of the practical steps you’ll want to take. Your goal is to be prepared to take over both the financial and physical affairs for just your mom if your dad should pass away or for both of them if he should become incapacitated. Let’s begin with the financial. Start by collecting information about all things related to their finances. Assemble a list of all assets and liabilities, including online accounts and passwords. Find out about any bank deposit boxes. Next list the recurring bills and any that are paid online. Don’t forget any monthly bills that are automatically deducted from their accounts or charged to a credit card. Talk with your dad about simplifying their finances. It’s common for people to add complexity as years pass. Now is the time to consolidate duplicate accounts. Unless you’re dealing with substantial assets, your parents probably don’t need accounts in more than one or two banks. The same thing is true with brokerage accounts. Look to minimize the number of statements and financial institutions that you need to interact with. Periodically check their credit report, especially if any outside caregivers are involved. You may want to place a credit freeze. Seniors are often targets for identity theft. If the credit card company sees a credit freeze, they won’t issue a card to an ID thief. Next you’ll want to do some estate and incapacity planning. That will involve an attorney. Make sure that wills and/or trusts are up to date. Have your parents make any changes now while they can. There may be some inheritance issues that are touchy. In most cases, it’s better to discuss them now while your parents are able to referee and make final decisions. The lawyer should prepare papers that will give you the right to act legally on your parents’ behalf. At some point, you may need to have the authority to move money, pay bills, and sign legal documents for them. Once you have the financial affairs in order, you’ll want to do the same for their physical affairs. Talk with your parents about their home. Plans for their future will be greatly affected by whether they want to stay in their home or move. Be practical. Sometimes what we want simply isn’t practical. For instance, your mom may need more care than your father or even professional caregivers can provide in their home. Talk with your parents about caregivers. There are many options available, but not all are suited for every situation. Ask questions now so you’ll be able to help select the right caregiver if/when the time comes. You should list any doctors and pharmacists along with their contact information. Create a list of all medications that your parents are taking. Also talk with them about medical directives. Now is the time to find out where they draw the line between regular and extraordinary measures. As our parents age, many of us will take on increasing responsibilities for their physical and financial affairs. But, you’re wise to begin the process while you can discuss the issues with them and line up any necessary legal documents. Guest contributor: Originally published in The Dollar Stretcher.com – a site dedicated to “Living Better…for Less” since 1996. You’ll find an active section addressing the financial issues of baby boomers.